The gem of northern Virginia is the wild and native brook trout. Shenandoah Park offers the Washington DC area trout fisherman a chance to find native brook trout in truly beautiful places less than 2 hours from home. The real benefit is the exercise you get hiking to and from the fishing spots on most of these remote streams. Find a blue line and hike the trail adjacent to it from the base of the mountain range where there will conveniently be parking at most of the popular streams. Hike up the trailhead until you think you're a decent distance away from the lot and start fishing. Brookies are a good indicator of water quality. They prefer colder water and like most salmonids thrive in water from 45-60 degrees. 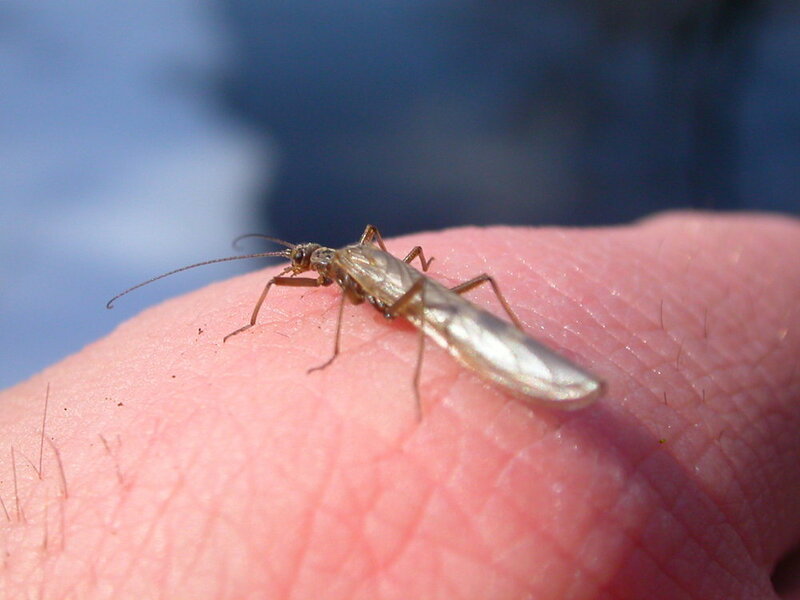 Their diet ranges from mayflies, beetles, ants, crickets, aquatic worms, mosquito larvae, caddisflies, stoneflies, crayfish, grasshoppers, freshwater crustaceans, hellgrammites, and any other winged insect that might fall in the water. Brook trout have natural predators including herons, minks, kingfishers, and water snakes. Keep this in mind when hiking thru the park, as water snakes and copperhead snakes have similar colors and patterns. Because these fish are so wary, keeping a good distance and casting into pools over rocks or other obstructions is a must. Brook trout are considered some of the most beautiful of all gamefish, particularly when in their spawning colors in the fall. Although these fish are elegant, we ask most fisherman to avoid the park from late October through November to give these fish a chance to spawn peacefully. Park streams are at spring levels right now, and extremely fishable. Fish are looking up, and are healthy and hungry. Terrestrials are still the game right now - ants, beetles, hoppers, and anything else that goes splat. Also been on the lookout for copperhead snakes in the park this year. There have been record sightings of these beautiful but venomous snakes, and we've already had a customer with a bite who has had to take an extended leave of absence from fishing due to snakebite this year. Wear pants and wading boots if you fish the park. Once November gets here, we want to remind people to please stay out of the water, and rock-hop to get those fishing spots. Brook trout will be spawning and lay their eggs in gravel redds where the eggs will incubate from 60-90 days, depending on water temperatures. Afterwards, alevin live in the gravel until mid-February. If you’re wading during those months, you’re killing brook trout!